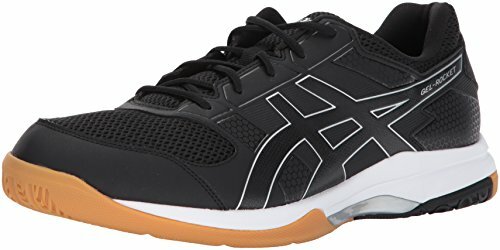 ASICS is one of the most well-known brands on the market. Known for the quality they provide and attention to detail, as well as the affordability everyone loves. Along with shoes ASICS also makes athletic clothing for men, women and children with comfortable, functional designs. While you may have heard of ASICS you might not know that the name is an acronym, for Anima Sana In Corpore Sano, meaning a sound mind in a sound body. This is important to know because it goes to show that the company intends for every one of their products to be good for your body. 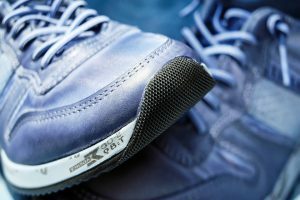 Experts designed these shoes for maximum support and comfort on multiple indoor courts. Using high quality materials, they created a great alternative to the more expensive athletic shoes without giving up support or comfort. I have broken this article into three most important aspects of any volleyball shoe. Design, Features and Performance & Durability. Keep reading to find out if this shoe stands up against its competition. The ASICS Gel Rocket 8 has a stylish design made from synthetic materials. Although the design of a shoe means nothing to some, most people are drawn to a shoe because of its design. And this shoe delivers, with its clean lines and sleek look, it is one of the nicest looking shoes I looked at. You can get them in four different colors depending on your preference and the sizes range from 5 to 12. Also, you can tell from the design that ASICS has not only their customers but also their competition in mind. The design of these lightweight shoes are made for sports enthusiasts to wear and to love. The form fitting design is meant to fit your feet exceptionally well ensuring an overall more comfortable game. You’ll also notice less aches and pains in your feet post game. Gum rubber is the material used on the outsole of the shoes for extra support and grip. This allows for enhanced traction on multiple courts. The gum rubber also makes the shoes scuff resistant, so you never have to worry about leaving a mark. Plus, they are extremely lightweight, perfect for indoor courts like indoor field hockey. This shock absorbing cushioning GEL reduces the force of shock you would normally feel during impact. Which means you can focus on the game at hand instead of the shoes on your feet. The Forefoot gel gives the shoes a feel of luxury you wouldn’t expect from a shoe at their price point but rather something a little more expensive. Keeping the arch supported while still allowing bounce is a tough job, but this unique gel cushioning system makes all the difference. By using the Trusstic System Technology they were able to make the shoe lighter while keeping structural integrity to the shoe. Meaning you never have to worry that the lightweight material won’t hold up against the twists and turns of a game. Having an air like lightness and still not having to sacrifice support is just one the reasons this shoe is so popular. The amazing technology was engineered to provide the steadiness, durability and comfort competitors come to expect in their shoes. A good pair of shoes can last years if they are made right. 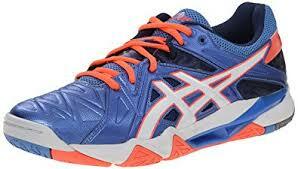 And these ASICS Gel Rocket 8 volleyball shoes certainly are. They hold their own against the competition, even shoes prices almost double their own price tag. 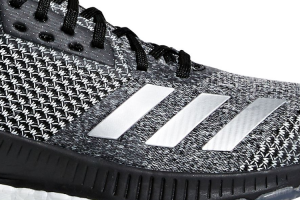 You can expect high performance footwear when you chose these volleyball shoes. 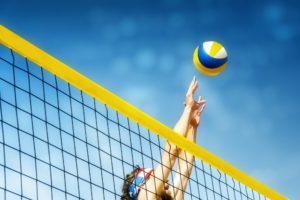 Whether you are playing volleyball, tennis, pickleball or even indoor field hockey you will notice a difference in the support right away. The synthetic material that make up the body is very durable making these easy to clean and maintain. You can also remove and replace the inserts anytime you feel the need. 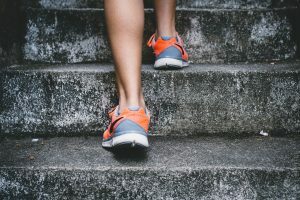 Even the roughest of players should feel confident that their shoes won’t wear down since the rubber soles are designed with an athlete’s movements in mind. Twists and turns are no match against the comfort and support provided by these ASICS. 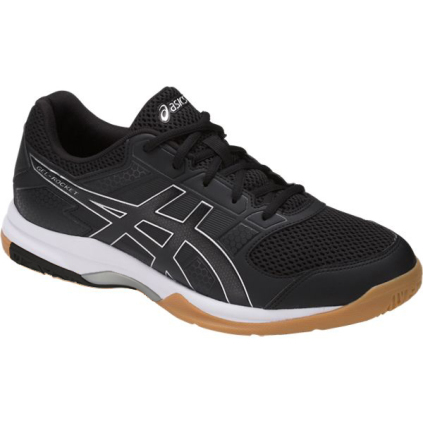 Overall, I can say that these are a great option for any sports enthusiast looking for an affordable volleyball shoe. The sleek, lightweight design of the ASICS Gel Rocket 8 is the perfect addition to any gym bag. You get more flexibility in where and how you play the game with the shoes multicourt design. The unique Forefoot Gel Cushioning System work with the shape of your feet to provide the best support and comfort possible. These shoes are perfect for anyone in the market for an affordable alternative to the high-priced volleyball shoes on the shelves today. You can be assured that by choosing these shoes you are not giving up quality or performance even while saving a little money.